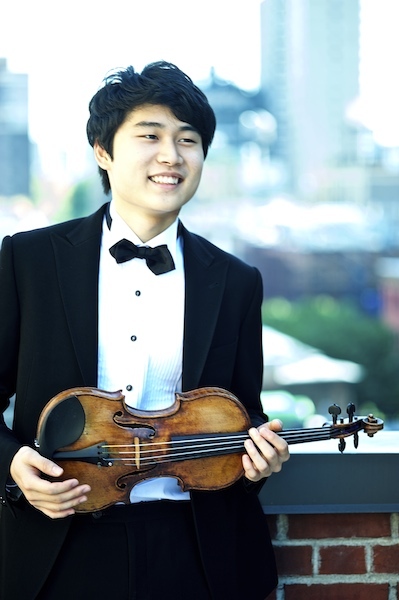 In Mo Yang, 20 of Korea has won first prize in the annual International Violin Competition Premio Paganini in Genoa, Italy. In Mo also was awarded the “Associazione Amici del Carlo Felice e del Conservatorio N. Paganini” €1,000,00 for the semifinalist’s best performance of the contemporary original piece written by Ivan Fedele for the Paganini Contest; prize in memory of Dr. Enrico Costa, sponsored by the Costa Family for the youngest finalist; and prize in memory of Maestro Mario Ruminelli, sponsored by his family for the performance most appreciated by the audience during the Final Stage. A student of Miriam Fried at the New England Conservatory of Music, In Mo Yang also won first prize at the 2014 CAG Victor Elmaleh Competition; second prize at the 2014 Menuhin Competition; as well as competition prizes at the 2013 Munetsugu Angel Violin Competition and the 2012 Joachim International Violin Competition. Also, Tan Yabing, 24, of China, was awarded the €3,000 in memory of Renato and Mariangiola De Barbieri, sponsored by "Associazione culturale e benefica Renato e Mariangiola De Barbieri" for the best interpretation of Paganini’s Capricci during the Semifinal Stage. Past winners of the Premio Paganini include Gyorgy Pauk, Salvatore Accardo, Gidon Kremer, Miriam Fried, Eugene Fodor, Isabelle Faust, Leonidas Kavakos, Ilya Gringolts and Ning Feng and many more. I just listened to some of his playing. Wonderful, I especially enjoyed his Bach. Congrats Mo! Capricci? Is that the same thing as cappuccino?